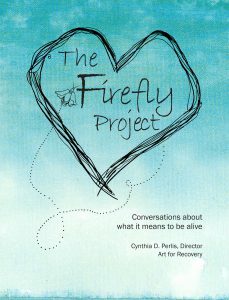 The Firefly Project: Conversations about what it means to be alive presents true dialogues about living and dying, hopes and dreams, grief and loss. These stories show human beings connecting through the old-fashioned art of letter-writing. Adults with life-threatening illnesses move beyond ideas of themselves as ill or disabled, and discover they have much to give back. Their correspondents – teenagers and medical students, none of whom have yet met their pen pals in person – discover empathy and find time to focus on others rather than exclusively their own thoughts and concerns, grappling with difficult questions about patients’ experiences. The Firefly Project has become a repository of intergenerational dialogues full of rare and compassionate insights into the meaning of life, illness, and death.